Whether its a backyard BBQ with your closest friends and family or a movie night with the neighborhood, you can have fun and raise funds for Child Protection all at the same time. Post event photos and videos to social media afterwards to show how you're fundraising for children around the world. Child protection encompasses all efforts to prevent and respond to abuse, neglect, exploitation, and other forms of violence against children — especially the most vulnerable. World Vision seeks to create a protective environment around children, so they not only survive but thrive in their communities. World Vision programs strive to ensure that physical, emotional, psychological, and spiritual needs of the most vulnerable children are met within caring and protective families and communities. 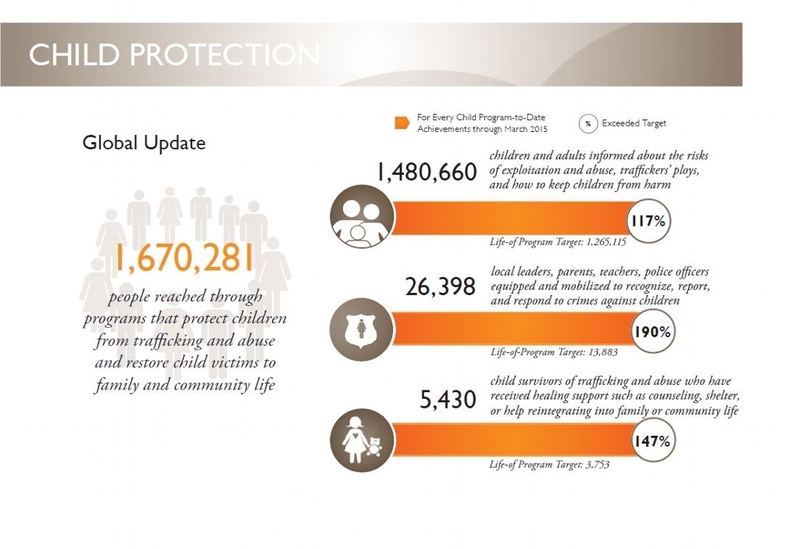 Activities on preventing children from falling into crisis or harmful situations; protecting those in immediate danger through responsive care and improving the capacity of service providers to respond; and restoring child survivors of abuse, exploitation, or violence to family or community life. For $25, you can help approximately 26 people to be informed about the risks of exploitation, abuse and traffickers ploys and how to keep children from being harmed. For $50, you can help one local leader (parent, teacher, police or other leader) to be equipped and mobilized to recongize, report and respond to crimes against children. For $300, you can help bring one child trafficking, exploitation or abuse crime to law enforcement, judiciary or local child protection entities. For $500, you can help one child survivor of trafficking or abuse to receive healing support such as counseling, shelter care, or help reintegrating into family or community life. Register. It only takes a minute to set up a campaign. Customize your personal fundraising page.